Whether you want daily hold from your wig adhesive or something that lasts for several weeks, we’ve got all the info you need, right here. If you’re new to wigs and hairpieces then why not start with something for short term hold times then when you become more comfortable use something with longer hold times. 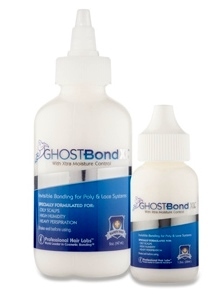 If you have growth hair and wash it frequently, or if you play a lot of sport or exercise, you can still choose an adhesive with a long hold (attachment) time as the bonds on brands like Ultra Hold and Mity-Tite are soft not hard. Remember when choosing tape that it’s a single application for each strip so this may be a consideration when deciding how frequently you’d like to remove your hairpiece. As well as adhesives, we have the low-down on a range of removers and scalp-protectors too – everything you need to know about how to wear your hair(piece); all in one place - just click on an image to learn more.